Get ready to embrace a slick new Unity lock screen in Ubuntu’s upcoming iteration! We are all aware how developers are regularly sifting through the packages that will stay and those that could be removed in the upcoming distribution: Ubuntu 14.04 LTS (Trusty Tahr). As part of their ongoing effort to make Trusty as impressive as possible, developers have now introduced a slick new Unity lock screen in Ubuntu’s upcoming iteration. The login screen will, finally, act as the lock screen in Ubuntu 14.04 LTS, instead of the GNOME-Screensaver package that manages blanking and locking in current versions. Users will now be able to access various system indicators even when the screen is locked. Furthermore, any music or video playing already will continue to play unrestricted even when the screen is locked. Meanwhile, in Ubuntu 14.04, users will be able to choose whether or not they want application menus to appear globally or locally. It’s been a long time coming, but finally it’s here much to the relief of users. Canonical has now come up with a replacement for the much-criticized global menu bar. Prepare for the re-emergence of locally integrated menus! 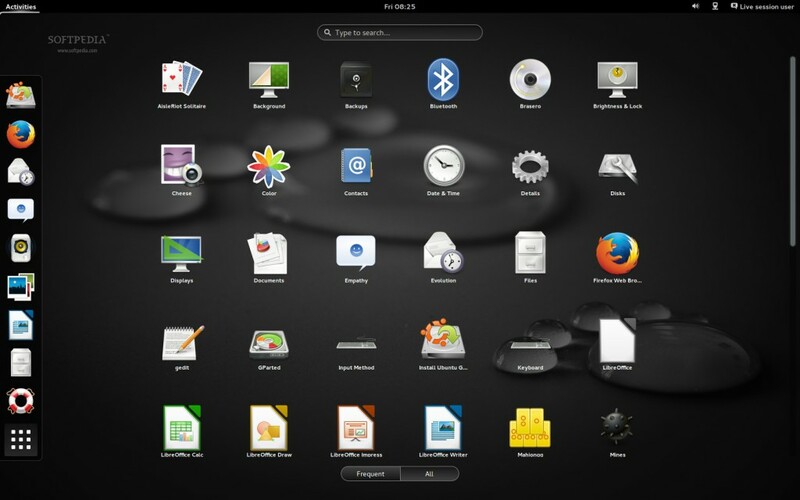 The global menu bar was hailed as a notable feature of Ubuntu’s Unity desktop, however it was more often than not criticized for placing application menus at the top of a user’s screen rather than within the application itself. The trick might have worked for small display screens, but the advent of Hi-DPI monitors has proven to be the final nail in its coffin. Canonical’s latest move to bring back traditional locally integrated menu’s of the pre-Unity days is certainly a respite for users. Settings for locally integrated menu’s will be configurable according to one’s liking. First things first, this release is a Long Term Support one. On both the desktop and server Ubuntu will be backed by five years of bug fixes, security updates and general maintenance. The current Unity 7 interface has seen an ample amount of under-the-hood work put into it over the last few releases. As desktops go, it’s more responsive and performant than it used to be; kinder on system resources; and has seen many of its features finessed in both design and interaction. For Ubuntu 14.04 – a Long Term Support (LTS) release – the onus is on stability, dependability and performance. All are key. To this end Unity 7 is to remain the default desktop, and will gain few (if any) substantial new features. But it will continue to benefit from subtle refinements under the hood. Goldfish, or anyone else with a really short memory, may not remember that Ubuntu 13.10 was supposed to use Xmir (a compatibility layer sat atop of Mir but tied to X) on the desktop. The idea was to slip it in nice and early so that it could be throughly tested before deployed in the next LTS. Said goldfish won’t, however, have any trouble recalling that this didn’t happen. Due to its long-term support nature, and because it didn’t get the aforementioned testing, Ubuntu 14.04 LTS won’t be picking up the ideological slack from its predecessor. Your bog standard, GPU driver-friendly Xorg will ship by default and receive updates during the course of the LTS cycle. As we reported recently, the bulk of developer attention during the 14.04 cycle will be targeted towards polishing the tablet experience so that it’s up to scratch come April. This takes in everything from engineering the Mir display server so that it’s capable of handling multi-tasking features (like ‘Sidestage’), to ensuring that applications sport appropriate, tablet-sized faces when used. Come mid-April a ‘version 1.0′ of the tablet image will be released for the Nexus 7 (2012) and Nexus 10 devices, and be able to act as a lure to hardware manufacturers debating its inclusion on their devices. You don’t need to be particularly observant on forums or website comment sections to know that some desktop users of Ubuntu are uneasy about the amount of attention and engineering effort Canonical are directing at their mobile efforts. This is a long game; a trial of patience. It’s true that this release, as last, remains using Unity 7 (which is in a so-called ‘maintenance mode’). For Ubuntu’s 25 million desktop users things may appear to be in stasis. But all of the work currently being funnelled into shaping the phone and tablet experiences will, eventually, benefit desktop users. The brilliance of Unity 8 is that it aims to use one unified code-base no matter the device it’s powering. A Unity 8 designed for the desktop remains some way off. Tailoring the interface of Unity 8 for the desktop, and finessing Mir with all the trappings needed to manage a multiple-window workflow, is going to require a huge effort. It’s currently pencilled in as coming in 14.10, though Canonical Community Manager Jono Bacon has cautioned that this could well slip back to 15.04. But, providing everything goes as planned, we’ll be able to play with some of this on the desktop sooner rather than later. A ‘developer preview’ session consisting of Unity 8 (tablet UI) and Mir are, tentatively, to be included in April 2014′s release of Ubuntu 14.04. From the Unity Greeter you will be able to log in to Unity 8 just like any other desktop environment. April of next year will prove to be something of a crunch-day deadline for the Ubuntu Touch project. While it may covet ideological prizes it is, so far, yet to ‘seal the deal’ where it matters: shipping on devices that people can buy. When Ubuntu Touch was announced we were told, according to the timelines of the day, to expect the first Ubuntu Phones on shelves by the time Ubuntu 13.10 rolled around. That, of course, hasn’t happened. Ubuntu for Phones 1.0 was a good first effort, but was more “alpha” than even its most die-hard fans would dare deny. It even ended up subtitled as ‘for developers only’, rather than the mouthwatering invitation to the world that Canonical’s mobile machinations has suggested it would be up until that point. While version 1.0 of Ubuntu for Phones fell at the proverbial first gate, the race is far from over. OEMs are, say those mysterious yet oft-cited ‘industry insiders’ and ‘sources’, continuing to hunt out a ’2nd horse’ to back in the mobile OS race, ever fearful that an over-reliance on the Android ecosystem could turn around to trample them. Many of the missing gaps of that first release – things like vibration support, boot splash, a GUI way to turn the phone off, etc – will be addressed this cycle for version 1.5. While the above represents the “core” happenings planned for this cycle, some other, smaller things are underway. A new icon theme for Ubuntu Touch is underway, and could debut on the desktop. Some of the Ubuntu mobile apps will be tailored towards desktop use and made available for easy installation. If any prove to be particularly great Mark Shuttleworth hasn’t ruled out adding a few to the default line up. An emulator for testing Ubuntu Touch apps is currently in development on 14.04. And, in a chance already landed, the Unity Greeter now has appropriately themed shutdown dialogs, similar to those used when logging out of or shutting down from within the Unity session. The USB Start-Up Disk Creator tool (what a mouthful!) is getting redesigned. Expect a streamlined, sleeker look. TRIM support for SSDs could, finally, be enabled by default. The net result would be peppier Ubuntu performance on SSDs, while potentially lengthening the lifespan of a solid-state drive.